Learn how to quickly and easily adjust pictures in odd sizes to your widescreen PowerPoint slide – right in PowerPoint. Pictures that cover the whole slide look clean and beautiful. They come in quite handy when you want to evoke emotions in your audience. However, most photos come at odd sizes that don’t fit the default slide dimensions (especially, when you want to use the 16:9 format in PowerPoint 2013 version). Sometimes, you can’t crop the photos to fit the 16:9 dimension, because you may lose a few key details from the picture. Some presenters use the trick of extending the photos. This makes the slides look very unprofessional. How do you overcome the issue? How do you use such photos without leaving those uncomfortable empty spaces on the side? How do you ensure the result looks professional? As you can see, I made two copies of the photo to retain the right and left edges of the photo. Select each of the thin strips. Go to the ‘Arrange’ tool in the Home tab of PowerPoint ribbon. Click on the small arrow to open the drop down menu. In that select Rotate → Flip Horizontal. Your audience would never be able to guess that you did any sort of manipulation to the original picture. They’ll just keep wondering about how you manage to get such beautiful pictures in the exact slide dimension each time. Did you like this simple PowerPoint trick? 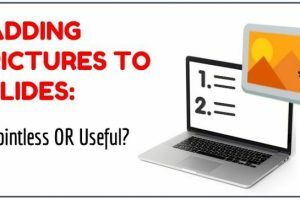 Do you want to learn how to improve your PowerPoint skills in a structured way, so you can create professional looking slides – fast and easy? Then, I highly recommend you to take a look at our ‘Ramgopal’s PowerPoint Mastery Program’. It is the most comprehensive and creative PowerPoint training online for business presenters. 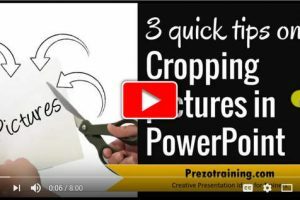 I especially invite you to take a look at our ‘PowerPoint Pictures Mastery’ section that shows you how to work with Picture tools in PowerPoint like a pro. You’d be amazed at the kind of wonderful things you can do with PowerPoint, you never knew about. In fact, Ramgopal’s PowerPoint Mastery is full of such surprises. 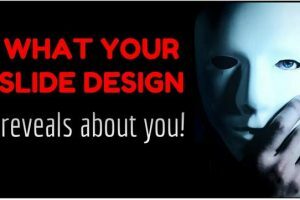 It is the only program you’ll need to take your business PowerPoint slides from Good to Great in the shortest possible time. Please click on the button below to know more details about the program.